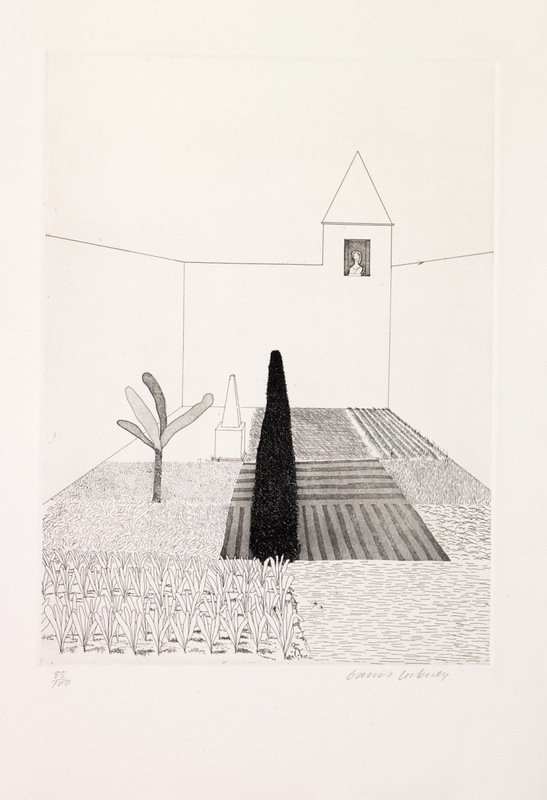 David Hockney (British, born 1937), Rapunzel Growing in the Garden, from â€œRapunzelâ€� in Six Fairy Tales from the Brothers Grimm, 1969, etching. Â© David Hockney. Used with permission. If you're looking for an excuse for a summer road trip, Maryhill Museum in Goldendale is opening "David Hockney: Six Fairy Tales" this Saturday. They'll be screening David Hockney: A Bigger Picture at 2PM followed by a discussion. The exhibition features 39 sketches Hockney produced to illustrate, or rather, accompany, Grimm's fairytales. "Hockney especially enjoyed the elements of magic in the tales, and his images focus on his imaginative response to the descriptions in the text rather than attempting to concentrate on the most important events in the narrative. As a result, the etchings are more than simply illustrations: they stand on their own as images, independent of the stories."